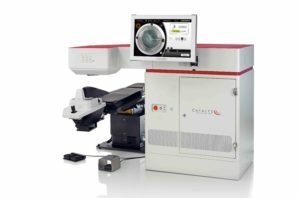 As early as 2012, as one of the first centers in Switzerland, we have been using the novel femtosecond laser of the company Optimedica for lens surgery, providing high-precision tissue-sparing interventions on the eye. This femtosecond laser thus creates the prerequisites for a virtually complication-free implantation of an artificial lens, because it combines several steps of the current surgical method, that has remained unchanged for over 40 years. Now the surgeon’s scalpel is not required anymore. The use of this laser represents a radical change in the surgical cataract treatment – the most frequently performed operation worldwide. The femtosecond laser «Catalys» by OptiMedica allows operating on the tissues of the eyes more precisely, and above all more gently, than would be possible even for the best ophthalmologic surgeon in the world. While up to now incisions were performed manually, before the clouded crystalline could be pulverized by ultrasound and removed by suction, this special high-tech instrument can now be used to perform this step. The femtosecond laser is an infrared laser with a spot diameter of a hundredth of a millimeter, which can make more precise cuts than any microsurgery scalpel. The energy of the laser beam is discharged over an action time of a few hundred femtoseconds (1 femtosecond = 0,000.000.000.000.001s). The tissue can thus be incised with extreme precision and at the same time very gently, while practically no heat is generated. The crystalline capsule can thus better resist ruptures than with conventional techniques and is better adapted to receive a special lens (e.g. for the treatment of presbyopia or astigmatism). The ultrasound energy which may still be required (to remove the crystalline by suction) can also be markedly decreased. A further technical advantage allowed by this novel instrument is the “optical coherence tomography” (OCT). 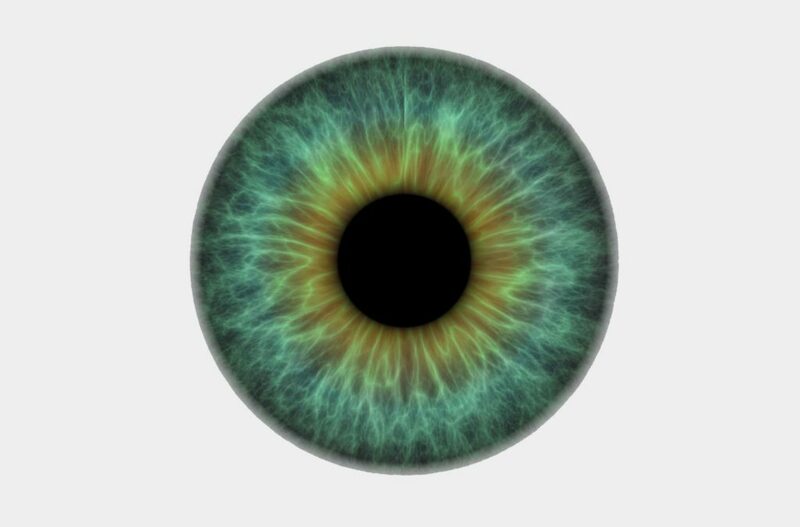 This is an imaging technique with which high resolution images not only of the cornea, but also of the interior space of the eye with the chambers and the crystalline lens, are made possible. The measuring principle is similar to the ultrasonic procedure, but with OCT a 40 times superior measurement precision can be attained, because contrary to the ultrasonic technique the measurement is based on light of a single wavelength. Thus even the finest structures of the eye can be represented with micrometer resolution. Another benefit of this femtosecond laser is the low pressure necessary to gently position the eye by suction, without discomfort. No waves are formed on the corneal surface, allowing a precise incision. Through the use of the femtosecond laser to replace the crystalline lens with an artificial lens, a highly precise separation of the different tissue layers of the eye is made possible, reducing tissue loss during the operation by 60 %. The «Catalys» laser combines several decisive steps of the replacement operation that are, up to now, carried out manually by the surgeon: on the one hand, the replacement becomes more accurate, since the artificial lens is brought into place with higher precision, and on the other hand safety is increased, since laser incisions are always more precise than those performed manually. This technology is thus markedly gentler and safer than the habitual crystalline surgery methods. In Femto-Phako four essential steps, up to now performed manually by the surgeon, are now carried out with the femtosecond laser. The core of the crystalline lens is pulverized by the laser and liquefied and then removed by suction (until now this was performed by the surgeon, using sonication). A circular opening is cut out with the laser to access the anterior lens capsule (capsulorhexis). With the laser, small incisions are cut out at the border of the cornea to gain access to the eye. In case of astigmatism, arc-shaped laser incisions can be performed to improve the condition or even eliminate the astigmatism entirely. The contents of the crystalline lens are then removed by suction. With a special instrument, the rolled up lens is introduced into the eye through the incision in the cornea. After the lens has unfolded in the anterior chamber of the eye, lens clips are inserted behind the iris in the capsular bag. 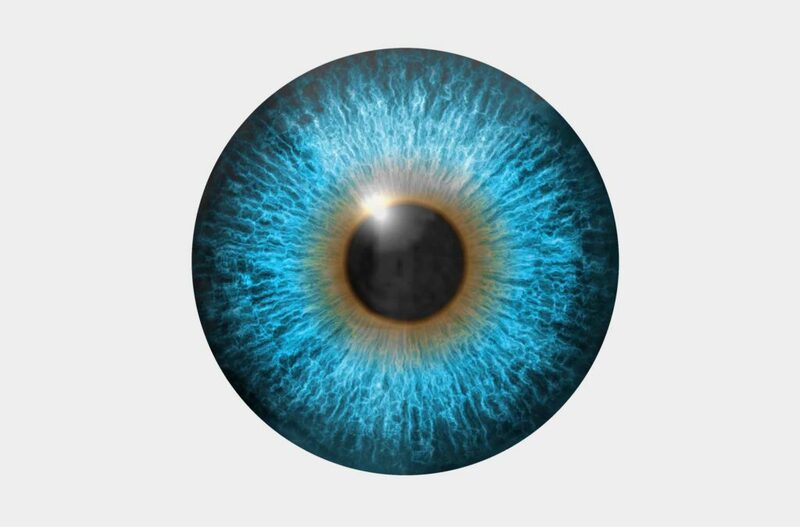 The artificial lens is then exactly in the same position as the crystalline lens was before.